Firstly, if you have not heard of SkillShare, you should check them out. From the limited knowledge that I have about who they are and what they are trying to do, I can’t agree with it more. True democratized education, I love it! 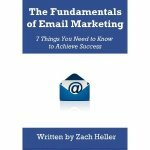 Second, to gauge interest, I’ve set up a Pilot class that I will teach on Email Marketing. There is no set date or time listed because I want to make sure there are enough people out there who’d be interested in going somewhere to listen to me speak on the subject. Don’t all raise your hands at once. But if you are interested, I hope that you sign up and add my class to your watchlist. If enough people sign up, we will put the plan in action, and host a class somewhere in and around New York City.